With fall under way and summer safely behind us, we start to wonder what kind of winter is ahead for us and how to prepare. Of course, when it comes to our home, it’s better to be safe than sorry. And, when it comes to our vehicles this is even more true in order to protect ourselves as well as our little ones. When winter is really cold with a lot of snow, we have driving challenges in winter. When winter is milder with temperatures fluctuating just above 0°C or just below 0°C, we have a lot of slippery and icy driving challenges throughout winter. Regardless, it’s always a good idea to get tires to suit the winters here in Southern Ontario. 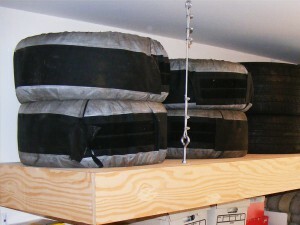 T here are a variety of ways to store tires in the garage. The main goal of tire storage is not to leave the tires on the garage floor where it uses up valuable space for the vehicle or both vehicles to be able to park inside the garage. The best way to store the tires that we’re not using on our vehicles is to have them kept up and off the floor of the garage. Overhead platforms of a variety of heights make a lot of sense. 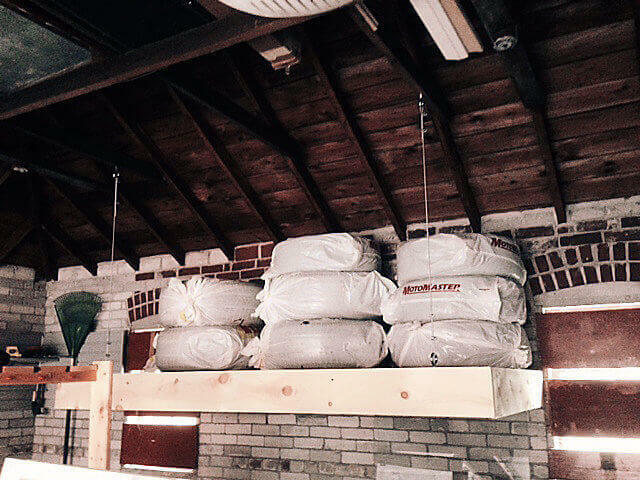 When installed properly, overhead platforms can carry up to 600 – 800lbs of whatever you want to have something tucked up and away in the storage space within your garage. The second option is to mount a tire rack to the wall of the garage. Specifically designed for tire storage, these racks can be mounted at a variety of heights depending on your available space and height requirements. It’s a great way to ensure your investment in winter and all season tires are protected. Since the advent of all season tires, winter tires have become an overlooked necessity to vehicle ownership throughout Canada. In some provinces, it is law for us to have winter tires on our vehicles. In Ontario, you can get a discount on your car insurance if you use winter tires. Depending on where you live around the GTA or Toronto, you may not experience a lot of snow. In addition, people mistakenly believe that winter tires are “snow” tires. They are actually meant for the change in temperature. In fact, that change in temperature which warrants the consideration for winter tires starts at 7°C where the typical All Season tire starts to lose it’s ability to grip the road. So, by 0°C, it’s very important that we’re using winter tires. In Quebec, where winter tires are the law, they found that the 10% who didn’t apply winter tires were involved in 38% of the most severe vehicle accidents. It makes a difference to drive with winter tires. These days there is a new category of tires called All Weather tires. 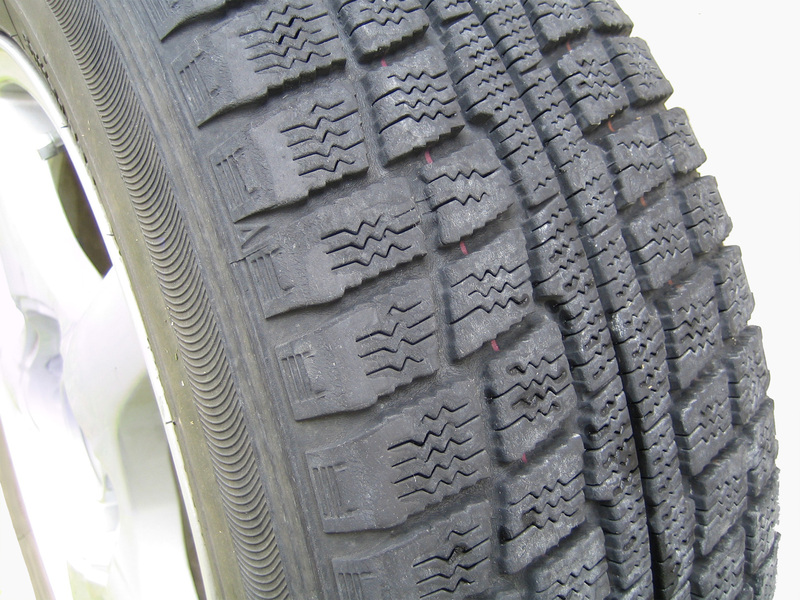 These tires will work well under wet, slushy and snowy conditions. They work well above 7°C where winter tire rubber starts to wear down extremely quickly and loses its ability to grip the road as the temperature rises. 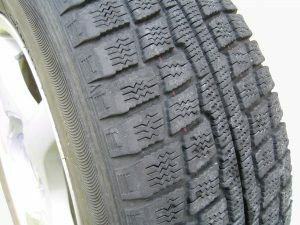 The All Weather tires are made with rubber designed to stay flexible whether the temperature is above 7°C or below 7°C. 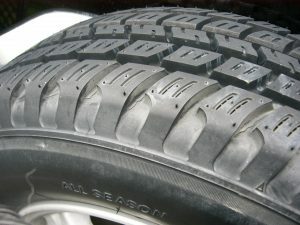 And, the tread is designed to push water and slush away out the sides of the tread pattern channels. On the other hand, the winter tires were designed with rubber that stays soft even in colder weather below 7°C which is why it works so well on snow and ice. And, this is the same reason it is not safe to drive on winter tires over the summer where it will easily melt on the hot asphalt and lose its integrity to grip the road. All Weather tires are closer to a 4 season tire for those of us who live in areas of Ontario where we may experience a somewhat mild winter. For real winters like those experienced throughout Quebec and areas of Central and Northern Ontario, people who use winter tires will have a safer drive avoiding the stress and the potential of a severe accident. Finally, the All Season In All Season tires is a bit of a misnomer. With its ability to handle well in temperatures above 7°C, it doesn’t remain flexible enough below 7°C to grip the road. And, the tread design doesn’t lend itself to pushing slush and snow out to the side from the channels. So, the All Season tire is great for 3 of the seasons in Ontario but not winter temperatures or the weather typical of winter including slush, ice or snow. For peace of mind and safety, the winter tire is your best bet. When you do this, you can save on your vehicle insurance and with a garage storage solution, you can save on storage costs annually. To find out how you can manage both, contact us for a free in-home consultation.